Pallets are all the rage, am I right? 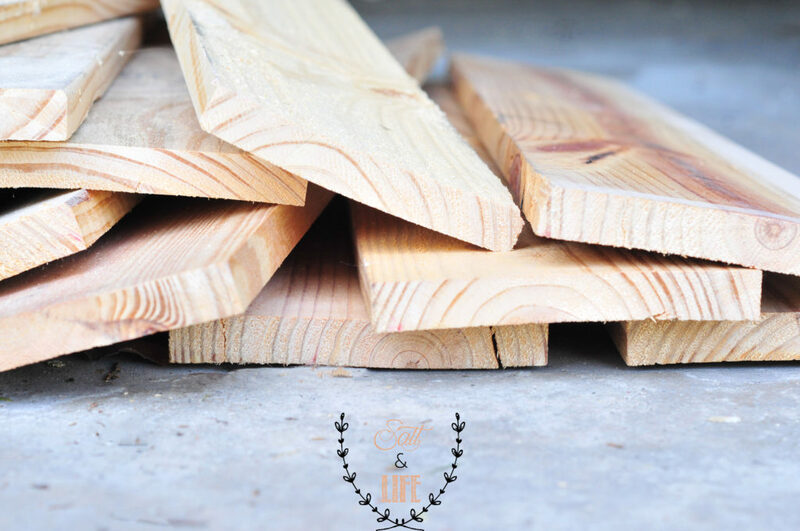 It seems like every other Pinterest tutorial I see uses reclaimed wood to create something beautiful and rustic. Don’t get me wrong. I’m not complaining. I guess I’m just officially joining the ranks of reclaimed wood upcyclers everywhere by writing this post. So, hi. My name is Jessica, and I’m a pallet user. Chances are, there is a supply company, local hardware store or warehouse in your area that will essentially give you an unlimited supply of pallets to use if you just ask. Many of them actually have to pay companies to take them away, so just think of it as doing them a favor! The downside to pallets, though, you never know what quality of wood you’re going to get, or how difficult they’re going to be to disassemble. That’s probably a post for another day, so I’ll skip all that now and assume you’ve already taken yours apart and picked the best pieces. 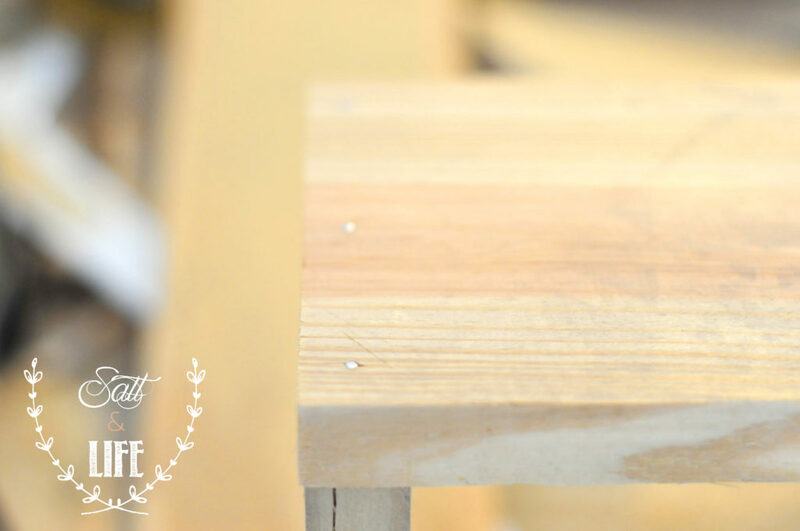 Of course, this tutorial can be used for purchased wood as well, so don’t feel like it’s limited to the reclaimed. That just happens to be what I used because, you know, it’s free and I had some on hand! 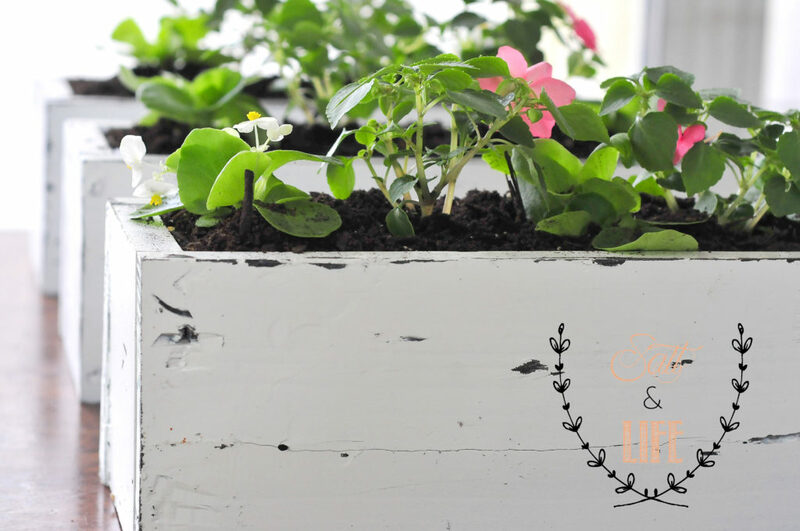 So without further ado, here is my easy DIY pallet planter box tutorial. You can build your planters any size you want. Because these were being used as centerpieces for our Launch Party, I built ours 18″ x 5″ x 5″. 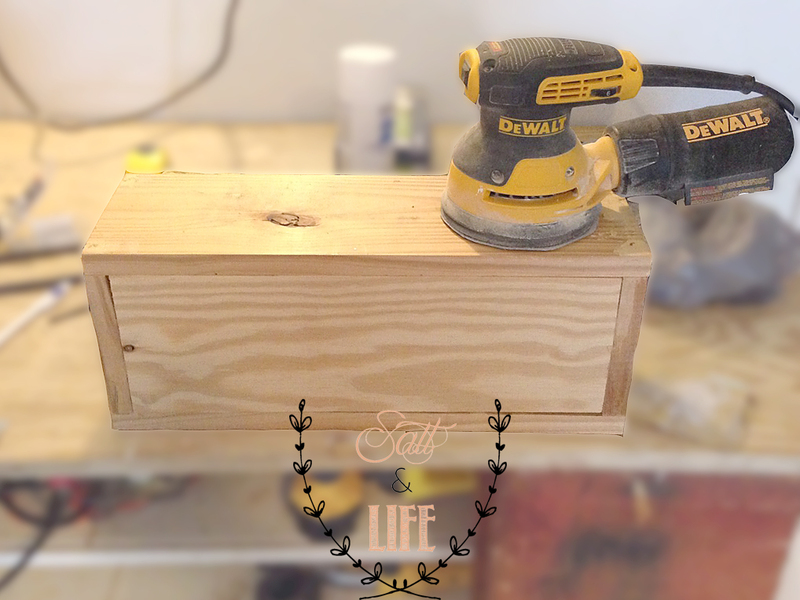 The 5″ height was chosen simply to save me some cuts since the pallet slats I had on hand were already 5″. Many pallet slats are 3″ and 4″ inches wide. These are still great to use for shallow plants (think succulents!!! ), so don’t feel discouraged if that’s all you can scrounge up. 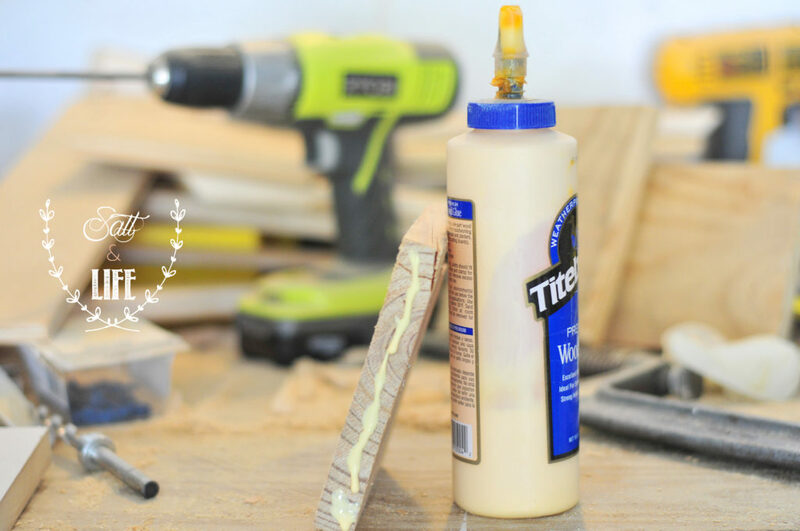 Build your frame first, attaching one 18″ piece to one 3.5″ piece with wood glue and your nail gun. 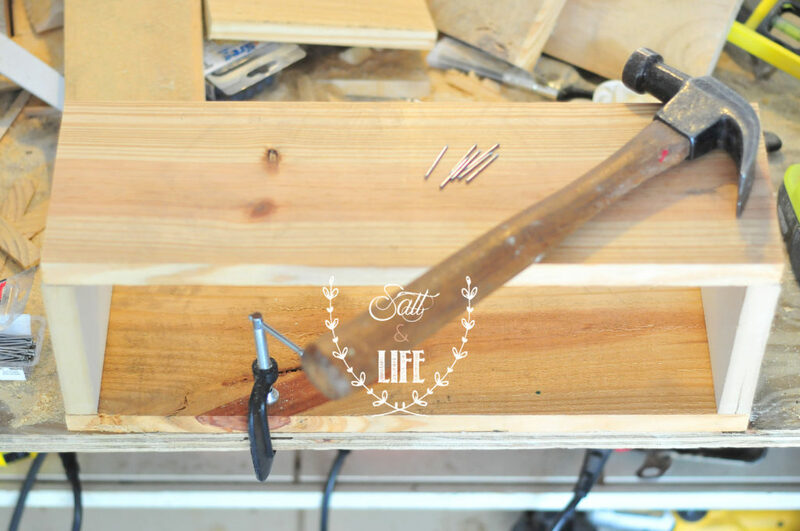 The thickness of my pallet boards was 3/4″ and, unfortunately, my brad nailer only supports up to 5/8″, so I went old school, clamped down my pieces and used a good, old fashioned hammer and 1 1/4″ wire brads to assemble the entire planter. 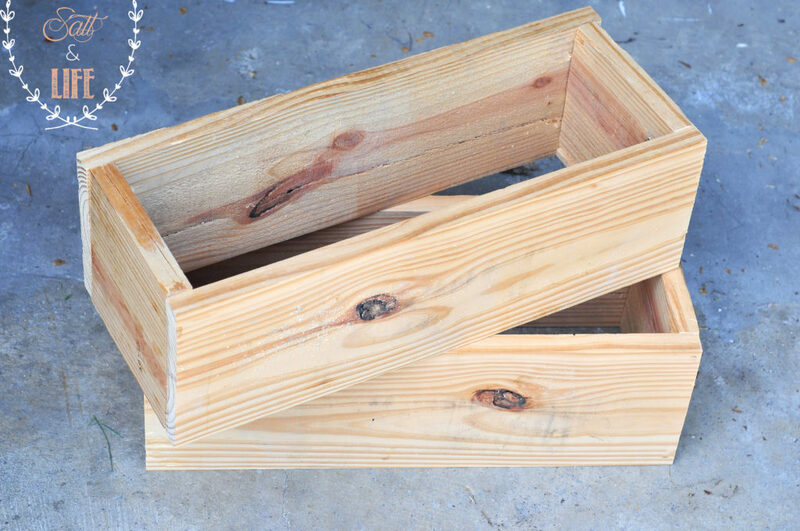 Add the second 3.5″ piece to the other side of the 18″ slat and finish the frame by adding your second 18″ slat to box in your planter. It’ll look like this with no bottom. 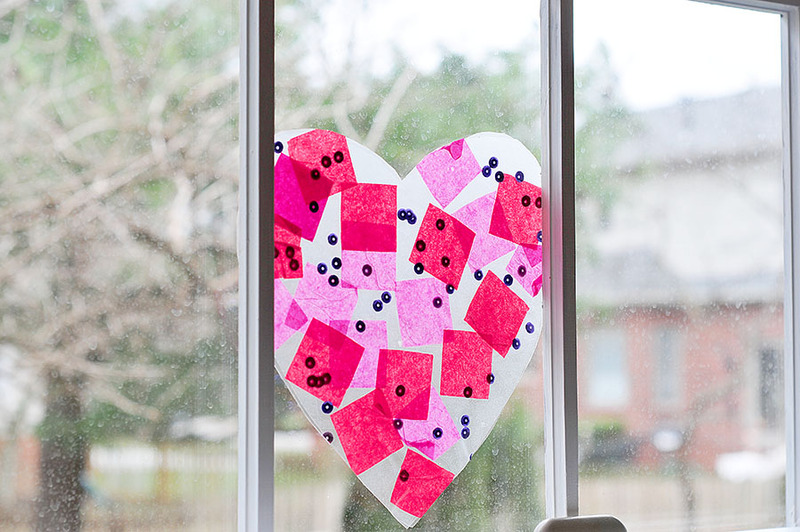 Line the 16 1/2″ x 3.5″ piece you cut earlier with wood glue, and slide it in your box until it fits completely inside and aligns with the bottom of the frame. The fit will be tight. This is a good thing. If you find it gets stuck, use a rubber mallet or lightly tap with a hammer to move it into place. Nail through all four sides of the frame into the base piece, and your box is complete! I told you it was easy!!! Give it a good sanding and 30 minutes for the glue to dry before painting. 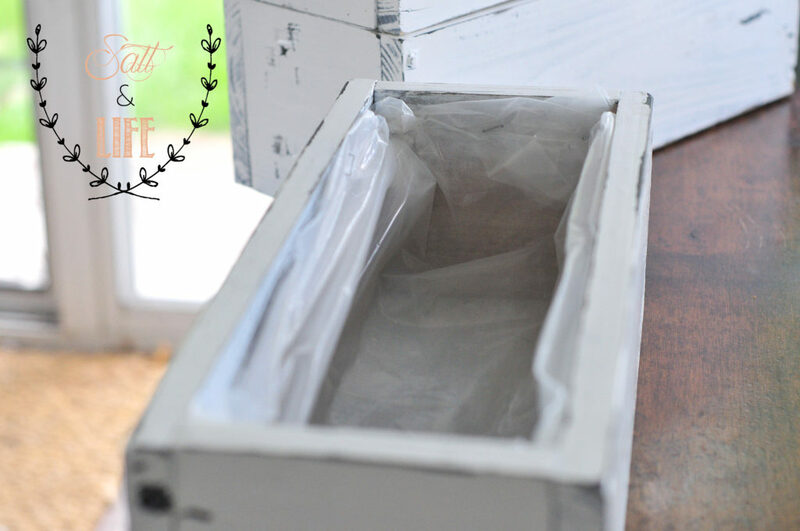 If you don’t want to distress your box, skip this next step. 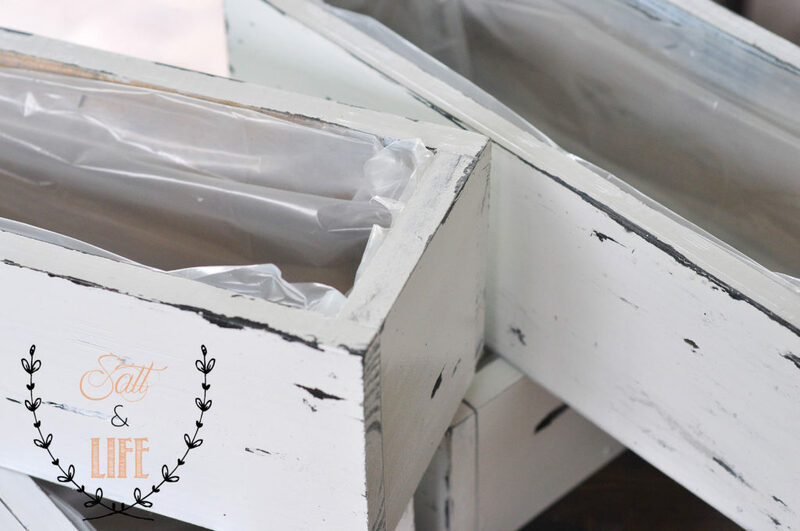 If you love distressed paint as much as I do, read on! 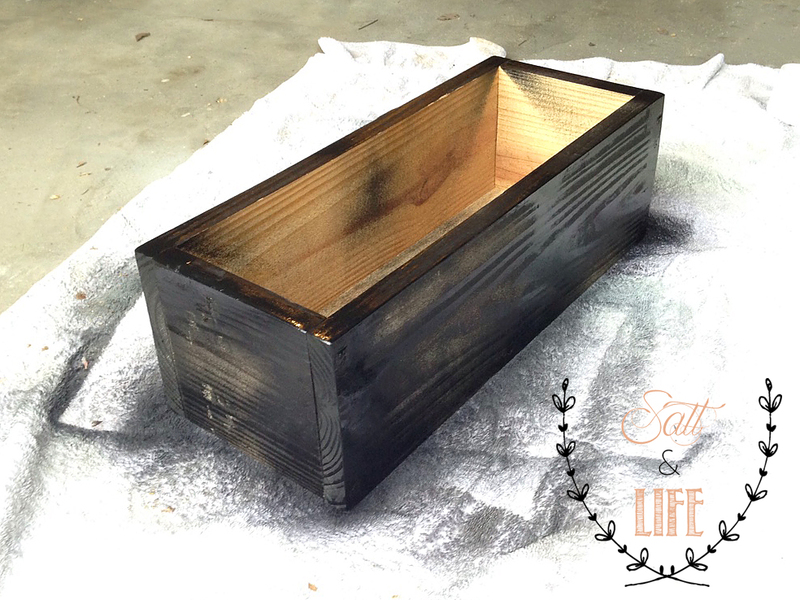 Give the planter box a quick coat of black paint. It doesn’t have to be perfect because your black will only show through in certain spots. I used Rustoleum quick-dry spray paint for this. I know it looks horrible, but stay with me. Once the black paint is dry, spread Vaseline on all the areas you want to distress (where you want the black to show through your white paint). I tend to go heavier because I love a good distressing, but even doing just the corners will give it some character. Once you have your Vaseline where you want it, spray on a coat of white paint. I used Rustoleum Indoor/Outdoor enamel in bright white on ours. Let that dry for 20 minutes or so, then spray one more coat and let dry. 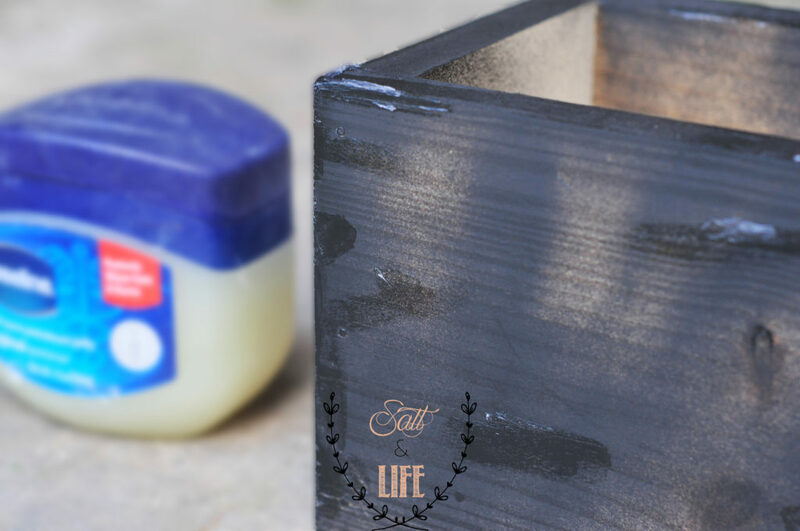 Once your planter box is completely dry, take a piece of sandpaper (I used 120 grit because that’s what I had on hand) and lightly sand over the areas where you put Vaseline. 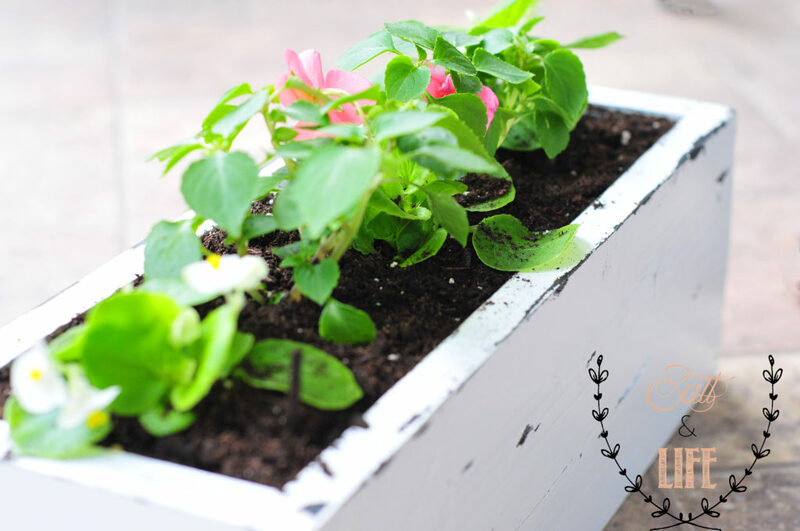 The paint comes right off, only in those spots, and you have a beautifully distressed planter box! Top with the clear coat of your choice (again, I used Rustoleum spray on clear coat) and let dry. To keep the wood from rotting, I took some plastic sheeting and stapled it to the inside of my planter box before adding plants. This does a great job of holding water and providing some humidity to the plants. 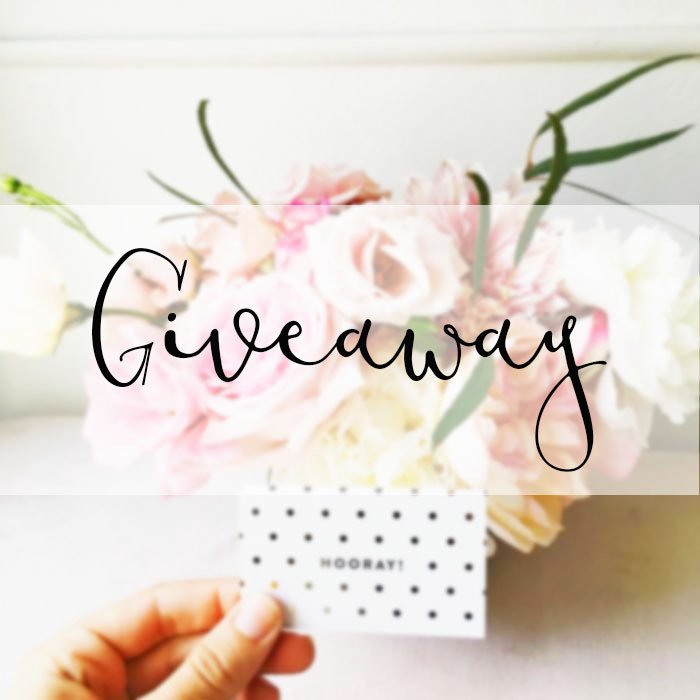 Fill with your favorite flowers, succulents or herbs, and enjoy! We’d love to see how yours turned out! If you’d like to purchase these, we have similar planters available at The Junq Drawer, my online shop! 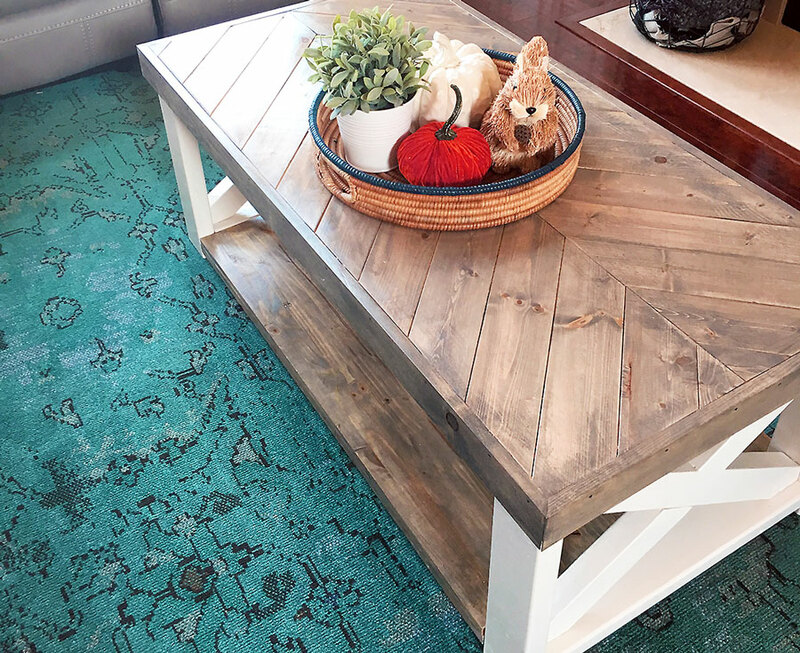 They can be customized from everything to paint or stain color to adding a design to the side and, of course, size.